Transgenomic, Inc. (TBIO) announced today that it has signed a commercial licensing agreement with Laboratory Corporation of America Holdings (LabCorp) for TBIO’s portfolio of intellectual property pertaining to DNA susceptibility testing for Long QT syndrome (LQTS), a primarily congenital heart rhythm disorder that is associated with potentially lethal cardiac arrhythmias. Accurately identifying individuals at risk is critical as various prescription medications and activities can trigger LQTS in susceptible individuals. Long QT syndrome is a heart condition in which delayed repolarization of the heart following a heartbeat increases the risk of episodes of irregular heartbeats. These events may lead to fainting or sudden death due to ventricular fibrillation. In some individuals, the QT prolongation occurs after the administration of certain medications or sports activities. LQTS is primarily a congenital condition, but it can also be acquired as a result of severe malnutrition. Genetic testing can help identify people at risk of Long QT syndrome and, by detecting the presence of specific LQTS genetic variants, testing can also help physicians determine the most appropriate treatment and monitoring plan for individual patients. “This royalty-generating agreement with LabCorp is the most recent example of our ongoing strategy to monetize our non-core assets, as we continue to focus on advancing the commercialization of our enabling ICE COLD-PCR technology for precision medicine,” stated Kinnon. 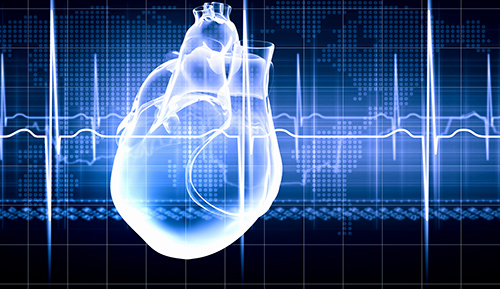 “Providing potentially life-saving information about additional mutations associated with Long QT syndrome is a further example of LabCorp fulfilling its mission to improve health and lives through world-class diagnostics,” added Marcia Eisenberg, Ph.D., CSO of LabCorp Diagnostics.